Wacky Wall Walkers were a very popular toy for a brief period in the early 1980s. They were these rubber octopi that were sticky; you threw them against the wall and they would slowly “walk” down until the adhesive gave out and they just fell to the floor. Super popular for a while, then relegated to cereal prizes, then gone forever. In their brief heyday, though, they were huge. In typical ’80s fashion, that meant that they just had to have a presence on television. 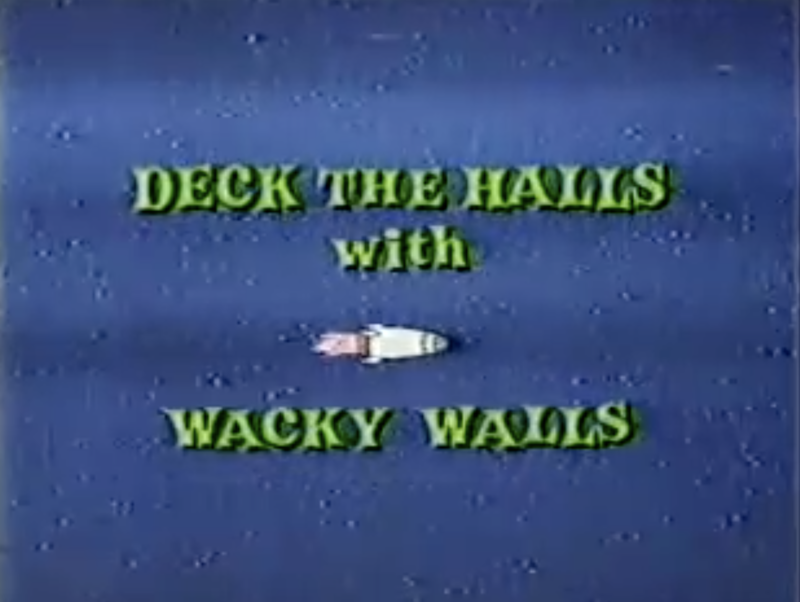 That presence took the form of Deck the Halls with Wacky Walls, which aired on NBC in the Christmas season of 1983. Deck the Halls with Wacky Walls had the liberty and license to apply any backstory they wanted to these rubber octopi. Naturally, the writers decided that they came from a complex space civilization. 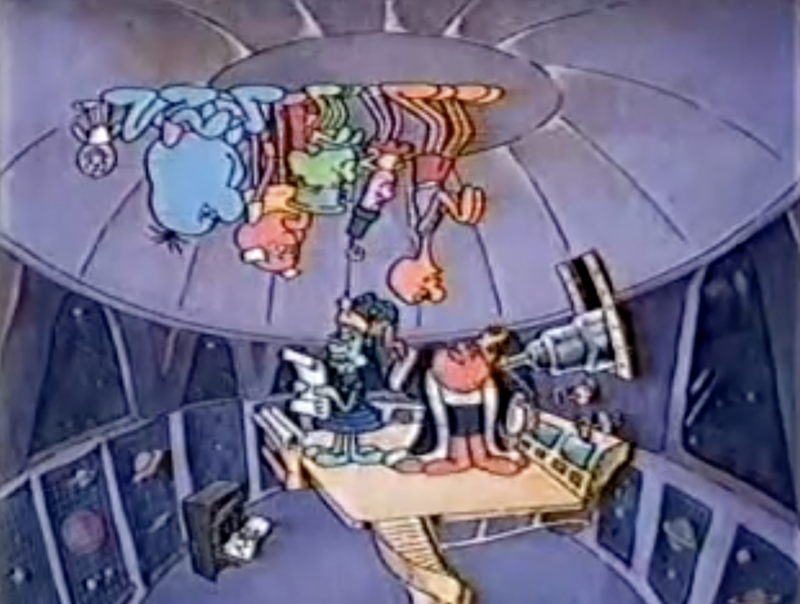 A team of 7 Wall Walkers – Kling-Kling, Big Blue, Springette, Bouncing Baby Boo, Crazylegs, Stickum, and Wacko – are sent to Earth to investigate something their scientists have heard about called “Christmas”. My eyes are rolling, too. …and others like the presents and the shopping. There’s a storyline woven through about an ungrateful kid who gets introduced to the Wall Walkers when one is accidentally wrapped into a gift. Together, they learn that the true meaning of Christmas is giving, and the typical cursory nod to Jesus is given right before they wrap up. The only truly special thing about this special is that someone decided to create a lore and background for a bunch of fad toys. The work that went into this special probably outshines any effort that went into the toys themselves…and the special still comes up so, so short. Here it is. It’s a fascinating sort of awful. Bah. Humbug. I’ve mentioned before that as a child I believed that robot servants were always just around the corner. They never materialized in any useful form, but that didn’t stop the toy companies from scratching our itch with several iterations of few-function rudimentary remote-control devices in the shape of robots. TOMY was the best at this game, with their Chatbot, Verbot, and Omnibot models. Here’s a roundup of the commercials for the various models. The Omnibot ads are legit fantastic. We’re clearly the chimps in that last one. It’s always great when a company can get sales by insulting the customers. 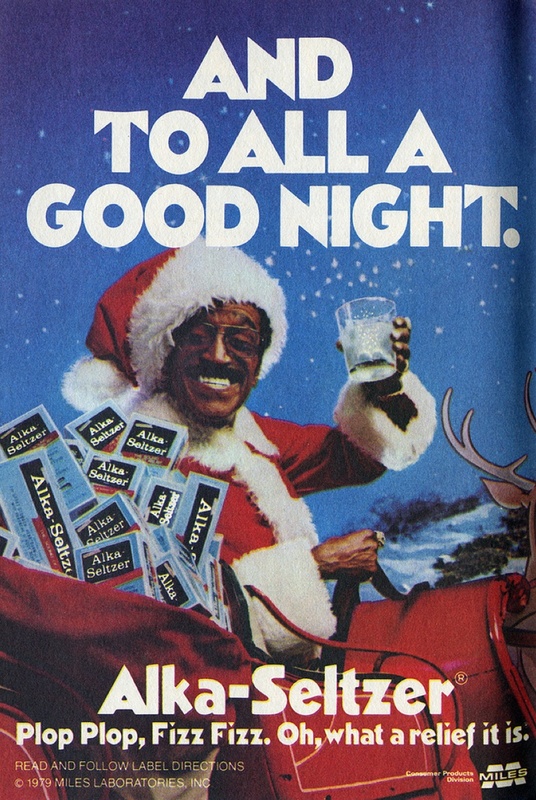 Sammy was an odd choice for Alka Seltzer’s spokesman in the late 1970s and early 1980s. but not really the wrong choice. Alka Seltzer’s primary job is to provide relief from last night’s party, and you probably can’t find a much better expert on partying. 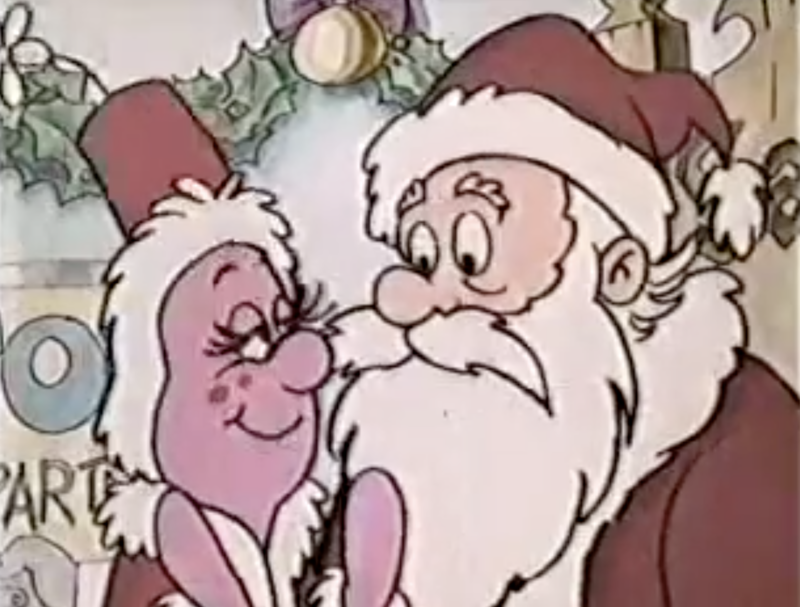 The Santa get-up is weird, though. BUT THAT FONT. Watch this salesman blow all of his 1987 holiday commission by letting these wives and mothers know about the existence of Sports Illustrated! 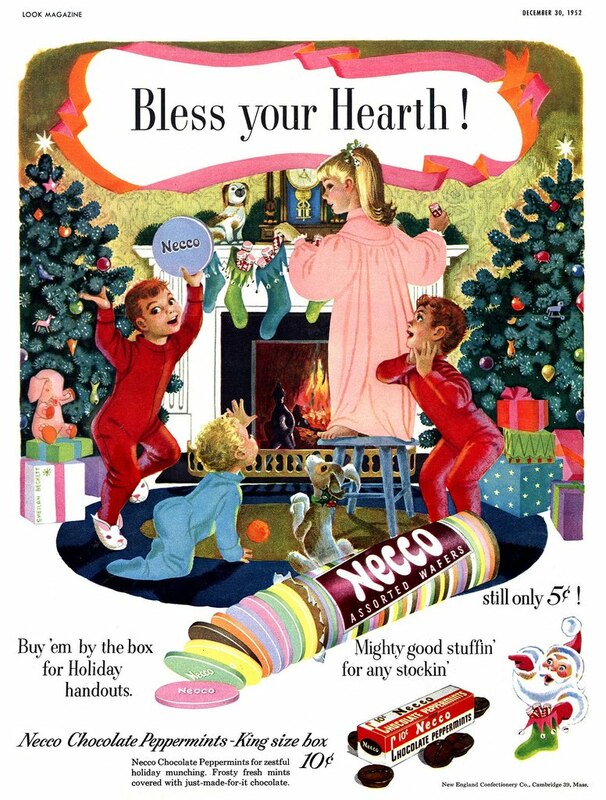 I don’t claim to understand the appeal of Necco Wafers, but I don’t need to; somebody out there loves them and that’s enough for Necco. 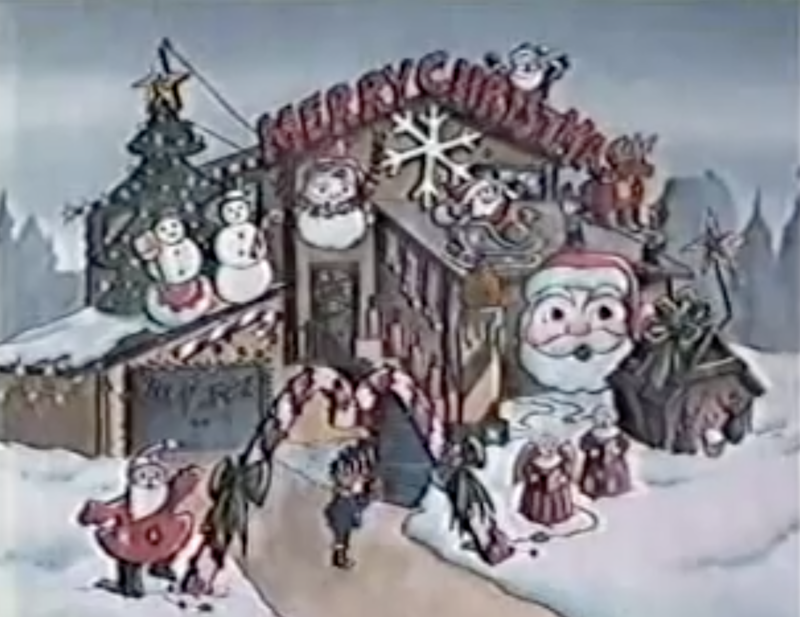 They DID, however, have an awesome Holiday print ad in 1952, and that’s enough for me.